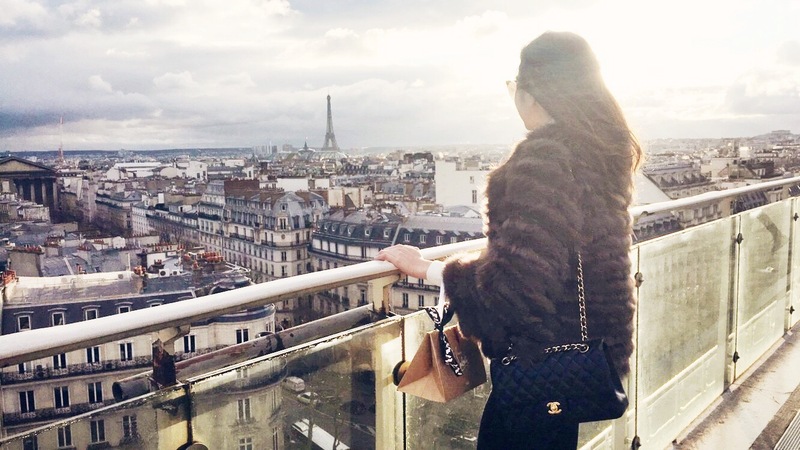 Paris, the city of love, light and fashion… and also definitely the most romantic and iconic city in the world for me. I was lucky that I could have visited the capital of France for a few times since I’m a little child. Fascinated by the charm of it whenever I returned, I could never imagine having the opportunity to live and study there. I always had a thing for Paris, but after living there last year I just fell in love with this beautiful city. In fact of this, I am going back to Paris. I mean, “Paris is always a good idea”, isn’t it?! 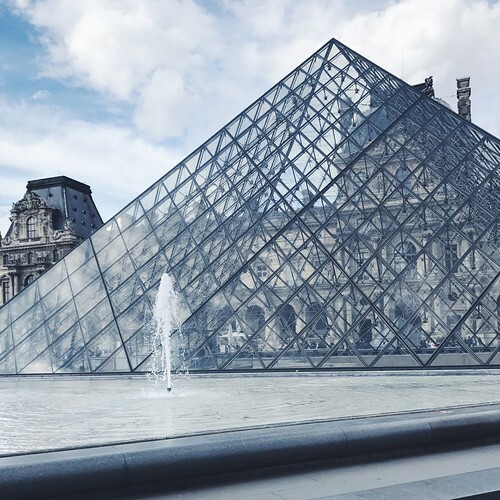 If you’re going to visit Paris as well or just would like to go, below, I summarised for you all my to-do’s for the city of love. 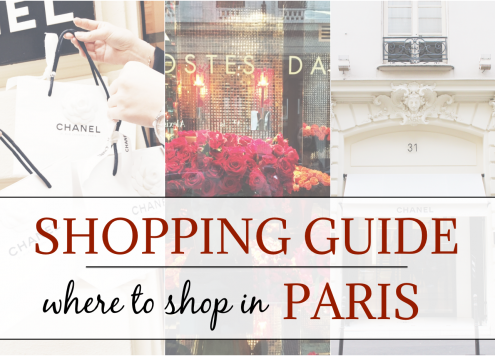 Below are the top 15 things to do in Paris! My all time favourite sightseeing in Paris is definitely the Eiffel Tower. My French friends have always been wondering why I like it so much, in their opinion, there are so many other prettier sightseeings. For me, the Eiffel Tower is standing for Paris, not only because it is the town’s landmark but more because it’s the classic symbol of Paris, love and romance. During the evening and the night, it’s light it up every hour, and I love that sparkling view. 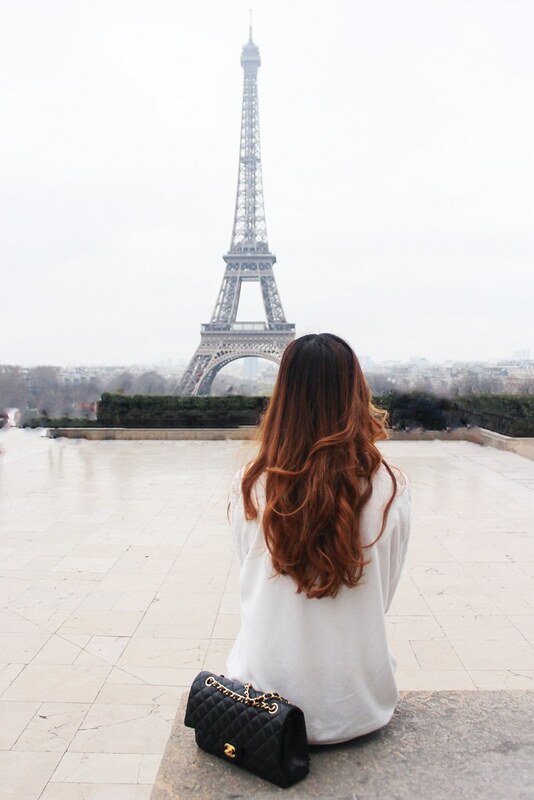 You can have a magnificent view at Trocadero. I also recommend to picnic under the Eiffel Tower as well and if you would like to have an iconic view over Paris, then go on top of it. My second favourite sightseeing in Paris is the Arc de Triomphe. Standing for the victory of Napoleon, I love how it is the centre of everything. It placed at the beginning of the Avenue de Champs-Elysées, and on top of the Arc de Triomphe, you can see clearly that all roads lead to the Arc. Furthermore, the view on top was one of my favourites. You have to climb all the stairs to it (see it as a good booty workout), but the atmosphere is worth it. 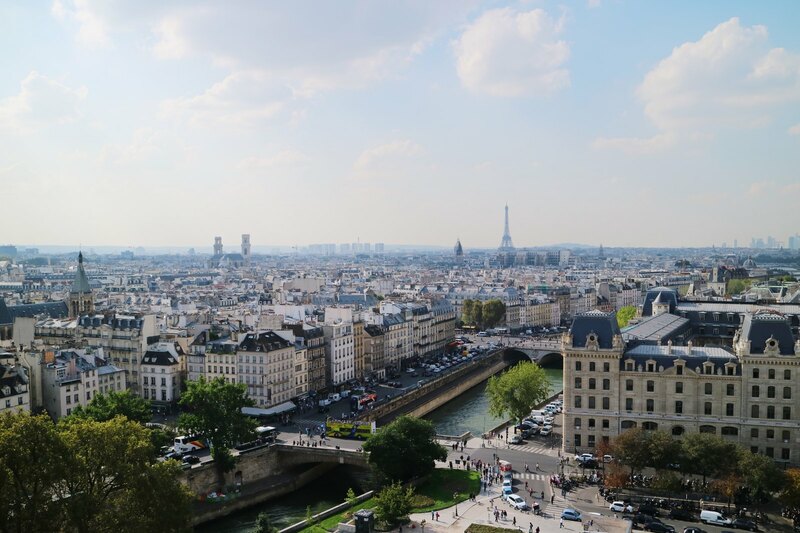 You can stay on top of the Arc de Triomphe as long as you want so go up there about 30 minutes before the sunset and enjoy this view during the sunset. I guarantee you it will make you speechless! Not only just for the Disney movie “The Hunchback of Notre Dame” is the cathedral worth visiting. 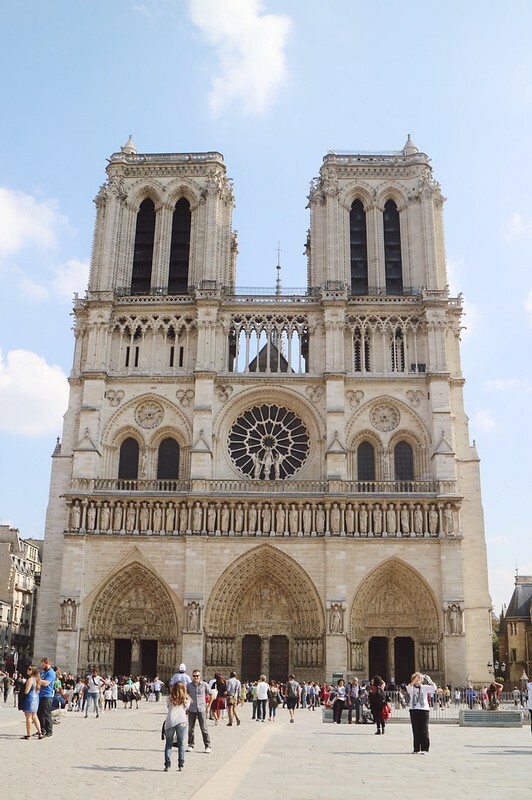 Notre Dame de Paris, which translates to “our Lady of Paris, ” is one of the first gothic cathedrals. So even though if you’re not a Disney fan the architecture is beautiful. As well from the outside as well from the inside. Also the view from the towers of Notre Dame is very fascinating, as you can see on the photo below. 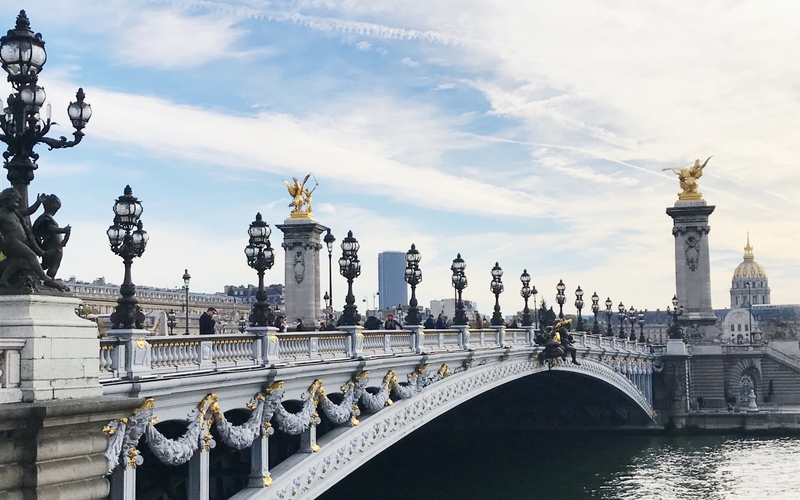 Paris, the city of love… I think I don’t need to go into it for explaining any more, but one of the most romantic things in the world is probably walking along the Seine with your boyfriend and then watch the sunset together. If you don’t want to go for a walk, there are also a lot of Seine river tours. The Seine runs all through the centre of Paris, and this is also an excellent way to see the sights. One of my personal highlights, always have and always will is Disneyland! I love that heaven on earth place so much! 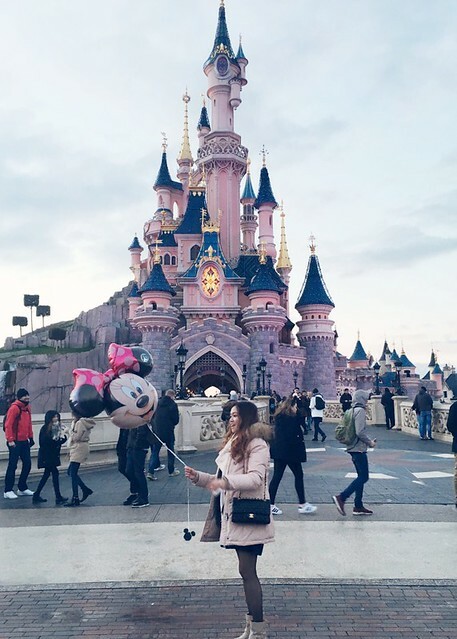 I have also visited the Disneyland in HK and the park in Paris is quite similar. It is just bigger, and the princess castle is a thousand times more beautiful. Furthermore, Paris has also a Walt Disney movie studio. If you would like to visit both parks, then you likely need two days because the parks are huge. In the Disney Park, you can have a banquette lunch like a princess and a fish and seafood dinner in a bay of the Pirates of the Carribean. If you want to have this experience don’t forget to make a reservation, which is necessary. Every day the Disney Parc is closing with a really cute Disney Dream show including a firework. For more information, head over to “The Ultimatie Guide to Disneyland Paris“! 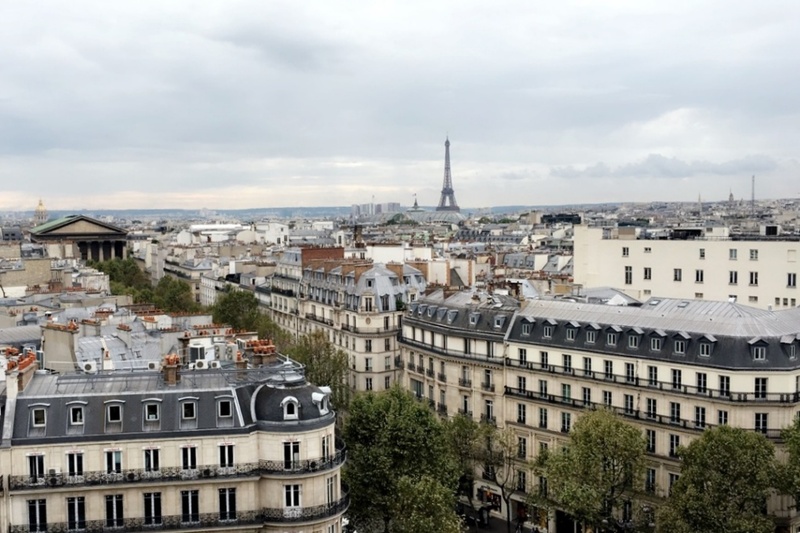 If you don’t like crowded places and endless queues, but you would still like to see a lovely view over Paris, then go and visit the terrace of the department store Printemps. It is also for free, and you can even have a drink up there. The gorgeous white Basilica sits atop the highest point in the city, overlooking Paris from the summit of Montmartre. The neighbourhood it by the way one of the most untouched authentically Parisian districts in the city. To be honest, not my favourite sightseeing and place but my friends loved it, and it’s actually one of my good friend’s favourite place. So I suggest you should go and make your own opinion. I love big cities. They have so many benefits, and you never will get bored of it. Simply because the opportunities and chances seem to be unlimited. Nevertheless, sometimes an enormous and hectic big city can get overwhelmed, even for me. 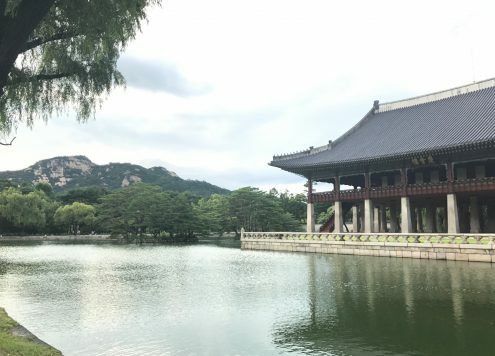 I’ve mentioned once before that the view of water really makes me calm, but not only water… Beautiful parks and gardens also have the same influence. 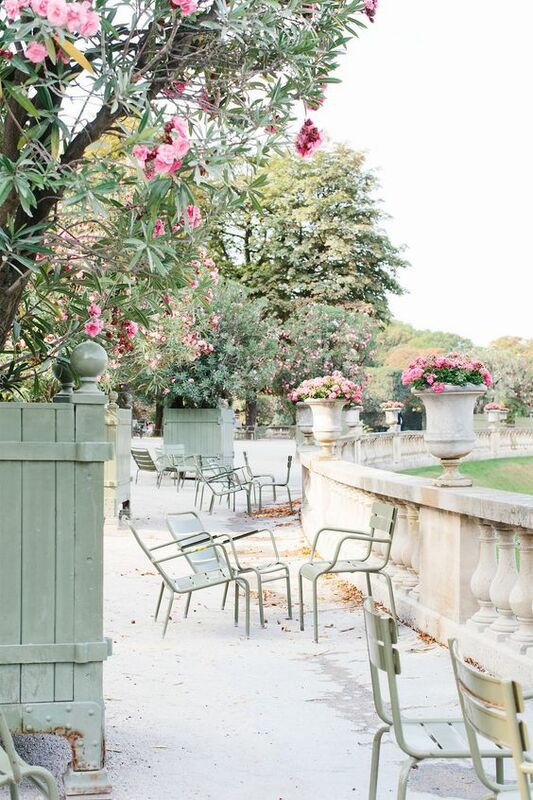 Separating the Louvre from the Place de la Concorde, there is the charming Jardin des Tuileries. Whenever I was sad or just wanted to clear my mind, I strolled through Jardin des Tuileries, and sometimes I was also sitting there for hours. Just for thinking and watching people. The fact that Tuileries Garden is located in the centre makes it very crowded. If you prefer a more quiet place, then I recommend you the Jardin du Luxembourg. That one is very pretty as well. I have been there often for writing my university essays. The biggest department store in whole Europe spans seven floors and is filled with everything you can imagine. 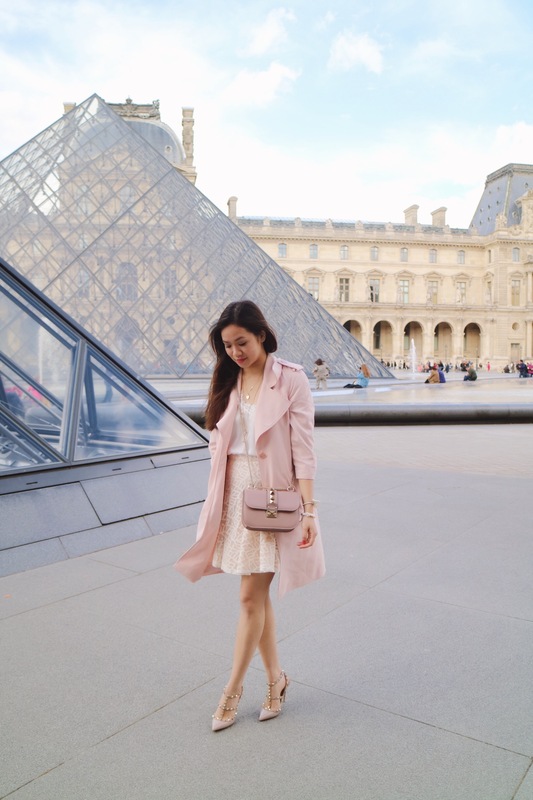 Paris is the city for fashion and shopping. 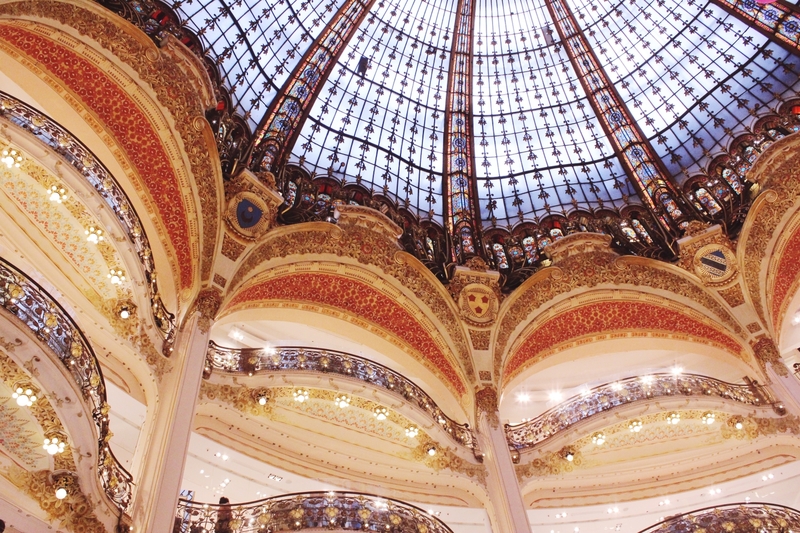 You probably won’t find anywhere more prestigious brands in one spot than in Galeries Lafayette. Even if you don’t plan to spend anything there, it is still worth to go. Just breath the air of luxury and style. Additionally, the interior is gorgeous! 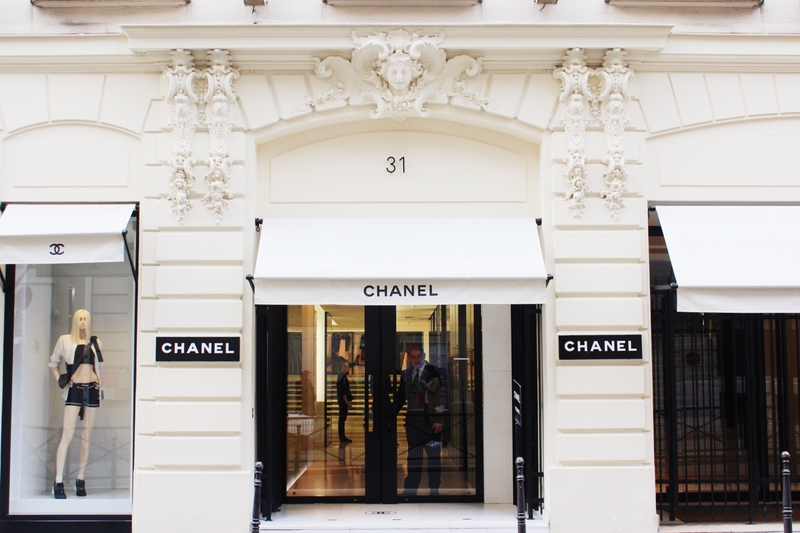 If you’re such a fashion lover like I am then don’t miss out, the Chanel headquarters store in Rue Cambon. This is the famous Chanel store, where Madame Coco Chanel was sitting on the stairs for her first fashion show. Also, you get white paper bags when you buy something instead of the black classy white. I know it is just a paper bag, but if you like them for interior decoration, they are very special. Even the boxes for jewellery or bags are unique in this boutique. 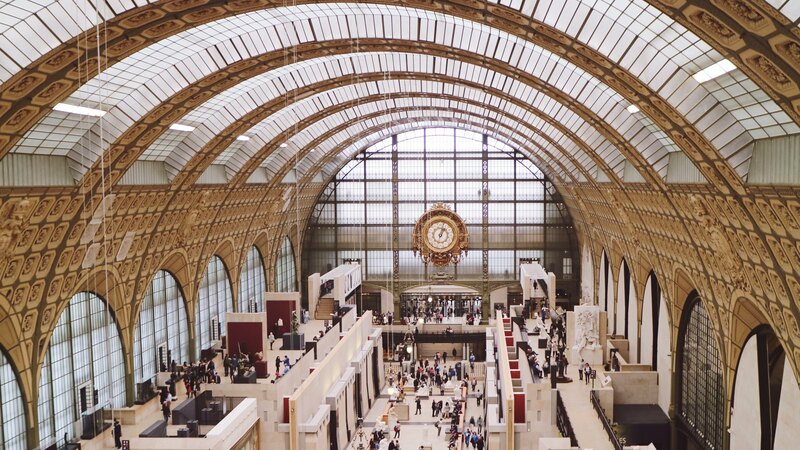 Musée d’Orsay, a museum, which I actually really enjoyed. This is my favourite art museum from all the museums I have ever visited. 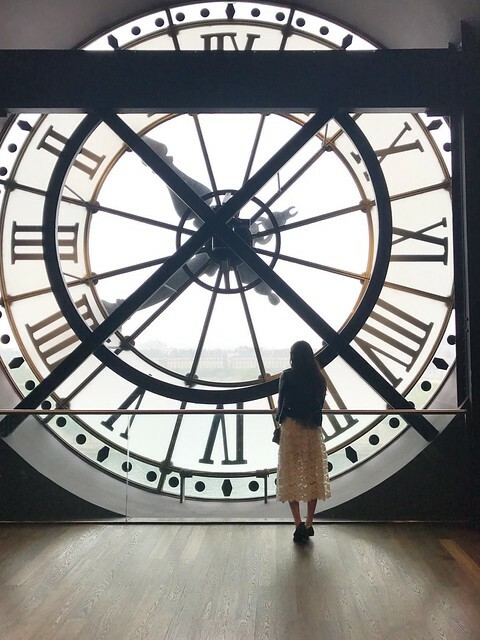 The museum was once a railway station and is now a glass-ceiling museum house with impressionist works by artists like Monet, Manet Van Gogh and much more. I loved the paintings from Monet because they gave me such a warm and calm feeling. 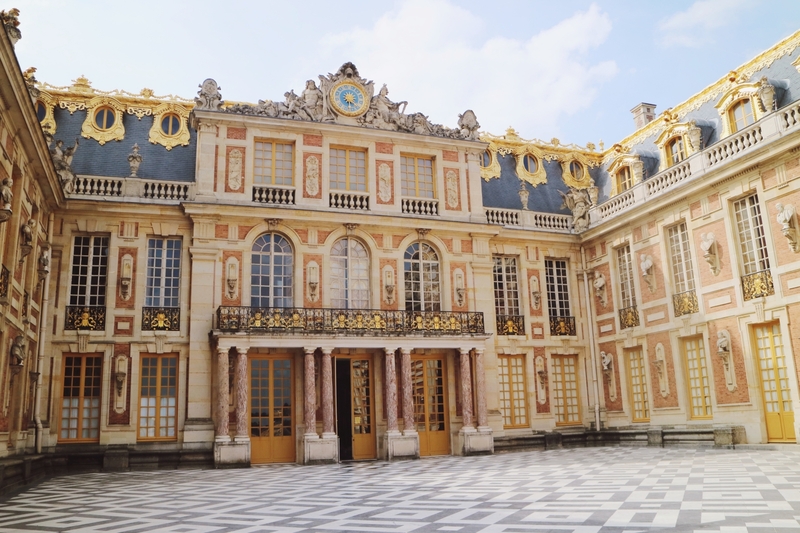 The Chateau de Versailles is also outside of Paris but definitely worth the journey. 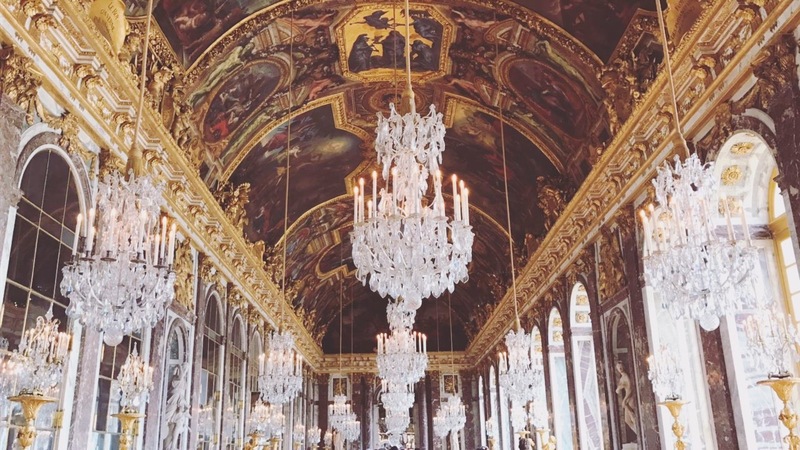 Take a stroll through the sharply manicured garden and admire the sheer opulence of the palace’s famed Hall of Mirrors. The Chateau de Versailles and its garden are one of the most famous monuments of world heritage. The cheapest and fastest way of getting around in Paris is the Metro. It is really convenient because it stops everywhere. I would recommend buying a ticket for ten trips or day tickets, depending on how long you’re staying. If you’re going to stay longer, use the opportunity to walk around in the city. Also, I recommend using an Uber. Uber is a company for private taxis. They are cheaper and safer than taxis, and you can always check the way on your phone. Especially for going out, the Uber is better than the metro. If you consider using Uber, you can use the code “uberlyhoang” for getting 15€ for free. Have you ever been to Paris? If you have any other tips or recommendations, I’d love to know. 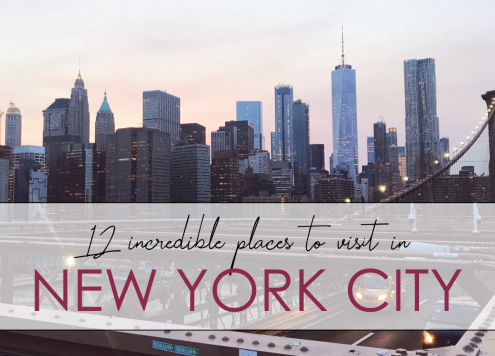 Otherwise, I hope you could get a little inspiration with my top 15! Pin it – Spread the love! Ein toller Beitrag! Wird direkt gespeichert. Ich war ja leider immer noch nicht in Paris und hoffe, dass ich das nächstes Jahr endlich schaffe!